Magnum Viper Pro 8.0 SideZip Boots (Black). 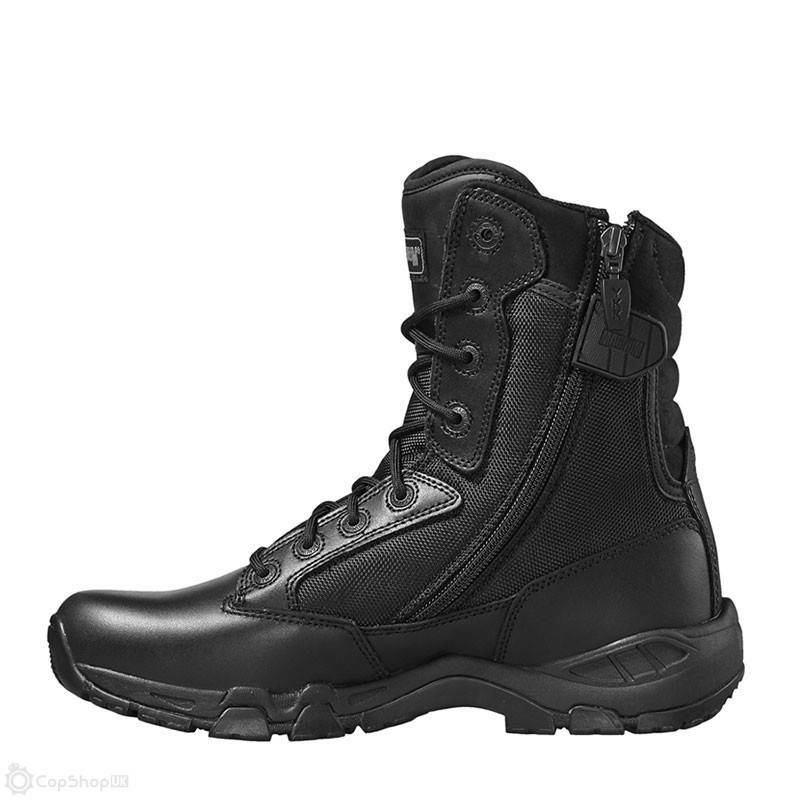 The Viper Pro 8.0 Sidezip is an 8 inch uniform boot for men and women with a YKK sidezip for easy access. 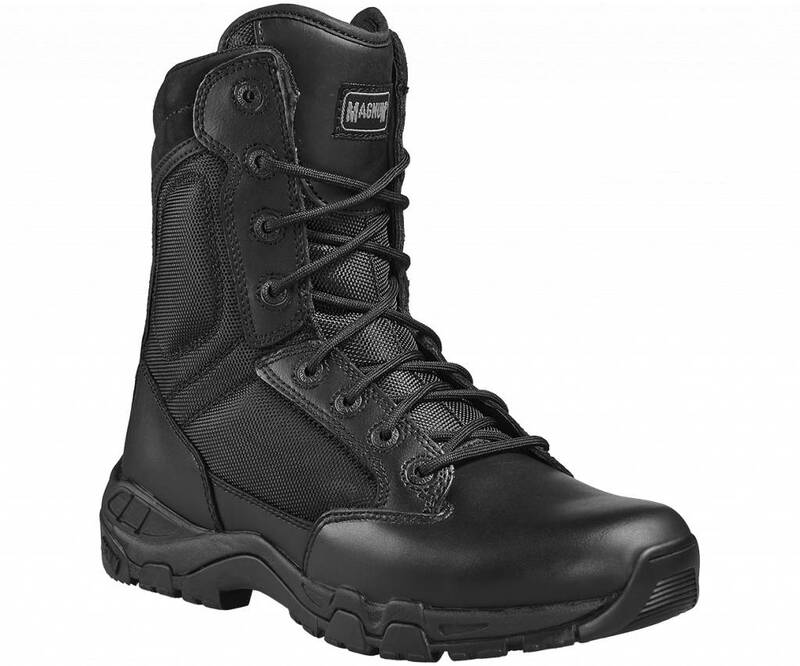 Featuring a durable leather upper with hard-wearing breathable mesh panels and ankle pads for added protection. 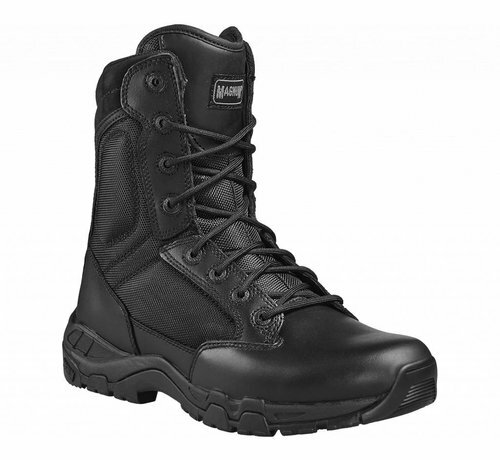 These uniform boots have a shock absorbing M-P.A.C.T. 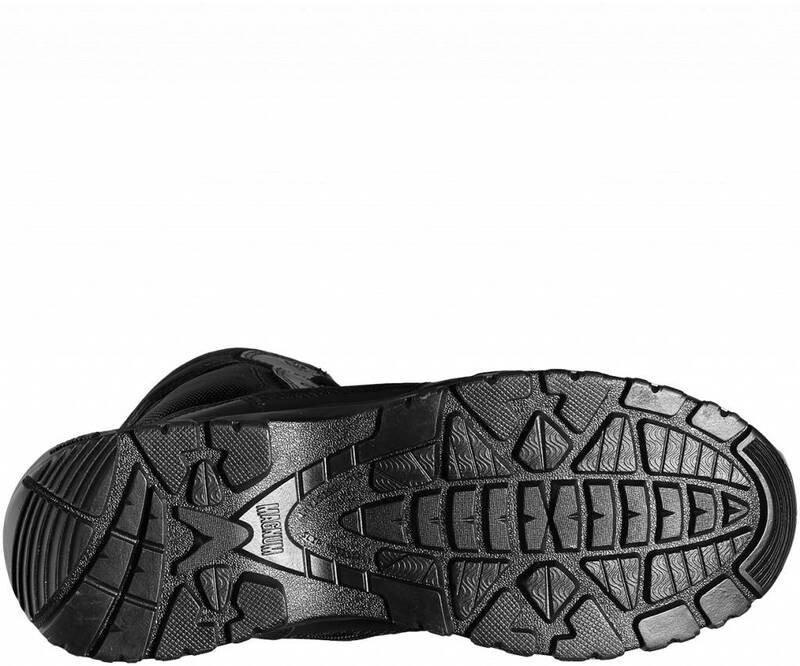 Response insole and EVA midsole add underfoot cushioning comfort. The fast wicking lining adds moisture management to keep your boots fresher for longer. 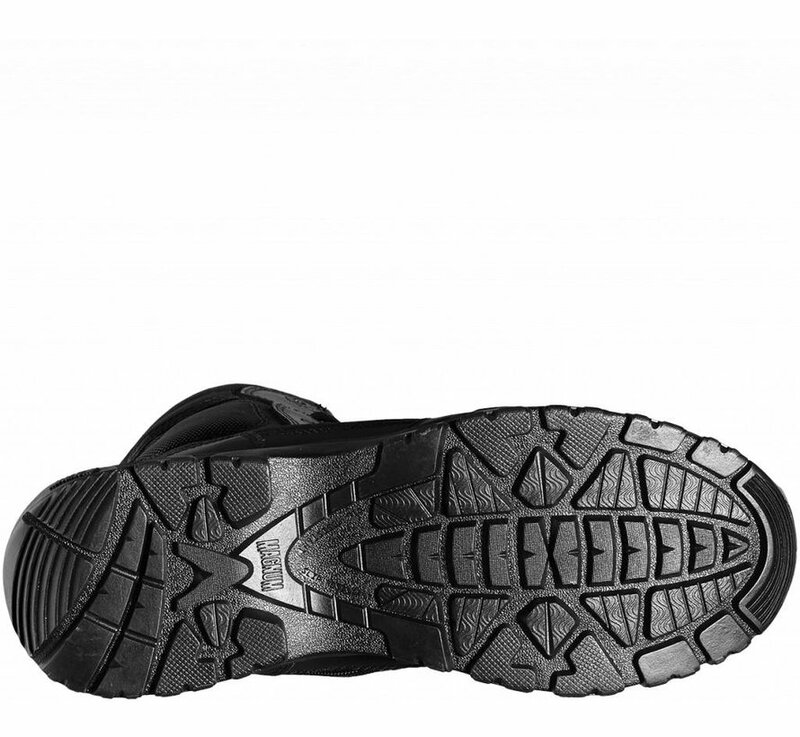 An SRA high traction rubber outsole is designed for maximum grip to help keep you grounded. 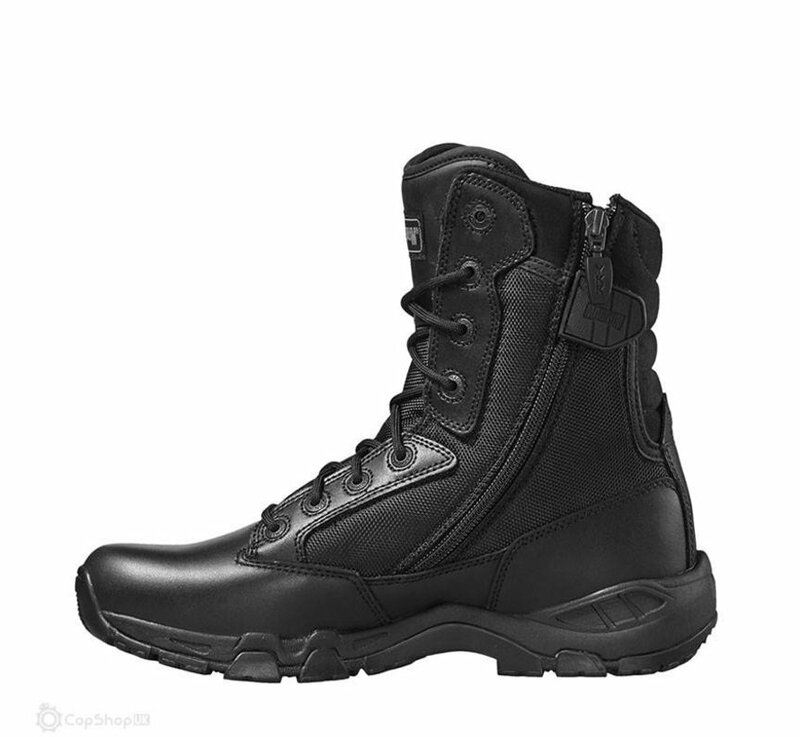 The boots are also scanner-safe. Tested & certified to European Standard EN ISO 20347:2012 OB E FO WR SRA. 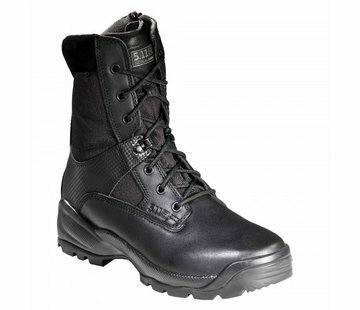 This men's and women's uniform sidezip boot is an ideal choice for police, security and other uniform personnel.